The average cost of assisted living in Athens is $3,013 per month. This is lower than the national median of $3,346. Cheaper nearby regions include Decatur with an average starting cost of $2,861. To help you with your search, browse the 8 reviews below for assisted living facilities in Athens. On average, consumers rate assisted living in Athens 4.5 out of 5 stars. Better rated regions include Fayetteville with an average rating of 5.0 out of 5 stars. Athens, Alabama is located in Limestone County, an ideal spot in northern Alabama to enjoy the Appalachian Mountains. Other attractions in or near the city include fun events like rodeos, tractor pulls, festivals and sporting events. Seniors make up 16 percent of the population in Athens, which has two assisted living communities for aging adults who can no longer live independently. All facilities help residents with activities daily living such as grooming, bathing, dressing and house keeping and each provides some form of specialized care. These facilities are regulated by the Bureau of Health Provider Standards. Winter in Athens is relatively short, with an average low of 48 degrees Fahrenheit and an average high of 71 degrees Fahrenheit. Seniors looking for mild year-round weather find Athens to be a suitable city. Athens typically has good air quality year-round, according to reports issued by the Environmental Protection Agency AirNow. The Air Quality Index detects occasional pollution in Athens during spring and fall. The cost of living in Athens is 11 percent lower than the national average, with housing averaging around 42 percent less expensive than other areas. This provides seniors who are living on a tight budget with quality, affordable services. Seniors living in Athens remain comfortable and safe here with relatively low property and violent crime rates. Athens was listed as number 14 of 143 for the safest places to live in Alabama and number 18 of 194 for the best places to live in the state. Alabama seniors are exempt from paying taxes on SSI retirement benefits, and the state is considered to be tax-friendly toward retirees. The Athens area is home to world-class medical facilities, including Athens-Limestone Hospital, Medcare East, American Family Care Athens, TOC Therapy Athens and Ambulance Service Emergency Calls Only, in the event of medical emergencies or illness. Assisted Living costs in Athens start around $3,013 per month on average, while the nationwide average cost of assisted living is $4,000 per month, according to the latest figures from Genworth’s Cost of Care Survey. 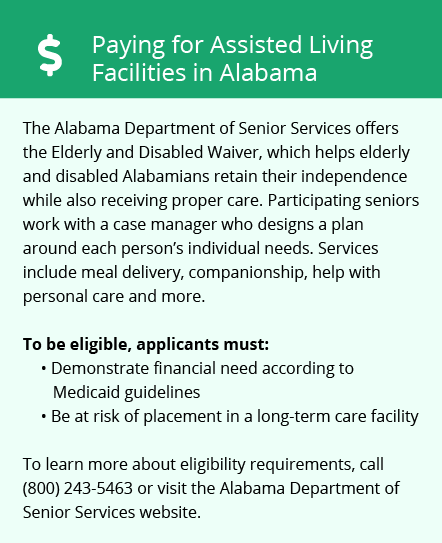 Financial assistance is available to eligible seniors living in Athens to help reduce costs associated with facility living, including four Medicaid programs: Technical Assistance Waiver (TAW), Medicaid HIV/AIDS Waiver, Personal Choices program and Alabama Community Transition (ACT). To see a list of free assisted living resources in Athens, please visit our Assisted Living in Alabama page. Athens-area assisted living communities must adhere to the comprehensive set of state laws and regulations that all assisted living communities in Alabama are required to follow. 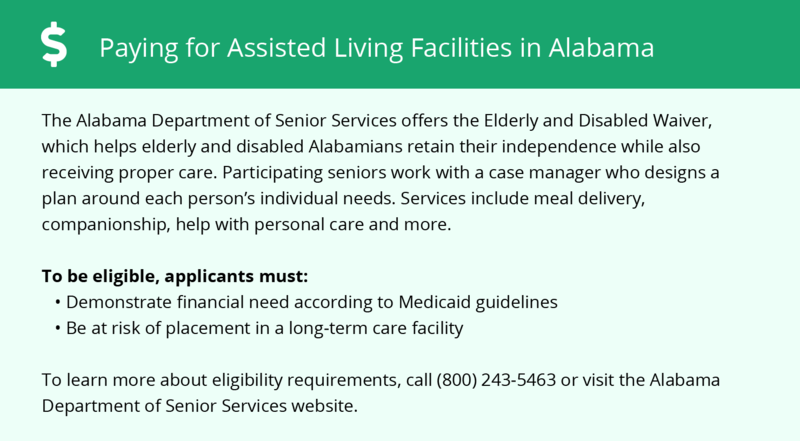 Visit our Assisted Living in Alabama page for more information about these laws.